After the novelty of exploring your new surrounds, the time will come when you wonder if you'll ever feel at home in your new country. Settling into a new country is a process. Below we offer five tips to help you feel more at ease. Above all else, be patient. It's unlikely you're going to feel at ease right away. In fact, it's likely to be several months before you start to feel settled in your new home. Just remember to give your new country a chance and try not to always compare things to how things are back home. You will experience daily challenges living in a new country with different cultural norms not to mention a new language. As most expats will tell you, there will be days where the day-to-day challenges may feel all too much. Every day you're figuring out basic things like how to post a letter, where to buy kitchen appliances, or how to make an appointment to see a doctor. Some days, all you want is just to feel at home without the constant challenges. It will come with time. We promise. That is why routine is vital. Working a steady job, as well as your commute to and from work, will provide you with a routine, which will help you feel more settled. One of the most crucial things to do when you're arriving in your new country is to say yes to opportunities including things you may not have normally said yes to back home. Don't get stuck in your apartment – go out, even if you don't know anyone else. It's important to explore new parts of your new country as well as new parts of yourself. By saying yes to new experiences, you are likely to make new friends, try new foods, experience new customs and discover new places. Your world will open up significantly once you've made new friends. Your workplace is a great starting point. Taking lunch with your colleagues, going for after work drinks, or other work socials are all great ways of getting to know your colleagues and, hopefully, developing new friendships. This is where websites and apps like MeetUp.com are really helpful. Here, you can find people and groups with similar interests to you. Be it yoga, painting, hiking, cooking, learning a language, going to concerts with others, the list of groups is endless. At first, you may only meet other expats through MeetUp.com, it's still a great first step in developing friends and a support network. 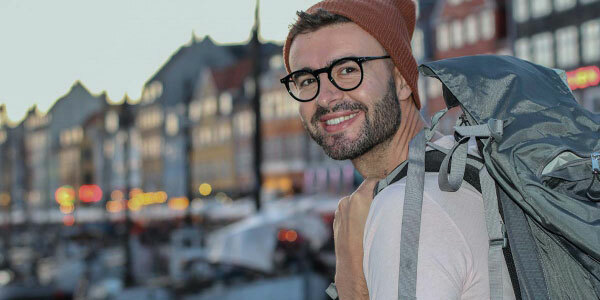 However, while, it's important to be able to share with others the challenges of settling into a new country, be careful not to only befriend other foreigners or homesick expats. One of the best ways of settling into a new country is by avoiding an “us vs them” mentality. Befriend locals. Locals are the key to understanding your new country as well as a great resource for helping understand how the system works, not to mention help you find an apartment, a job etc. There's something satisfying about securing your local ID card, national tax number, local supermarket loyalty reward card, and opening a local bank account. It's once you've obtained these items, you start to feel like a local. If you've tried opening a bank account in a new country, you know just how difficult it can be and what an achievement it is when you finally have an account. Firstly, you'll need a fixed address, which can be difficult when you've just landed. Next, you will need copies of bills with your name and address on it as well as a copy of your employment contract, which, again, can be difficult when you've just landed. At FerratumBank, we've made opening a bank account simple. Simply visit www.ferratumbank.com or download the FerratumBank app from iTunes or GooglePlay. Select your language, click on ‘Create Account' and follow the steps. 8 minutes later you've got yourself a bank account. The best way to immerse yourself in a new culture is through the local language. Once you start conversing in the local language just for basics like ordering food at a restaurant, the barriers between you and your new home will start to fall down. Again, patience is the key. You're not going to be fluent in a new language overnight. Make an effort to learn the basics, watch local TV, read local newspapers, and enrol in a language school. These will all help you learn the language. Explore your resources – many countries offer free language courses to expats. Stay focused, keep positive, and stay tuned for more expat tips!